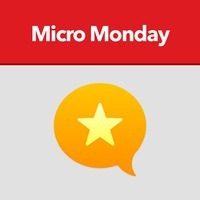 We’re back with another episode of Micro.blog Q&A with founder Manton Reece. Community members submitted questions, and we were able to get quite a few without turning this episode into a macrocast, including: * Will you add post categories? * Can Wavelength be used with WordPress-hosted podcasts? * What are the plans for offering portability and back-ups of microblogs? * What is the status of accessibility improvements? Thanks to everyone who submitted questions. If you missed the first episode of Q&A, you can listen to it here.